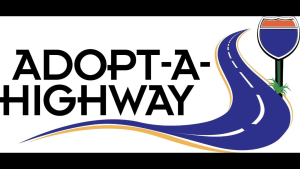 Come join STYP and help beautify our Adopt-a-Highway location, Exit 70N westbound on Route 17, just behind Food and Fire. Lockheed Martin will be cleaning up their adjacent space at the same time. Volunteers will meet in the McDonald’s parking lot at 9:00 a.m. Volunteer forms, trash bags, reflective vests, and gloves will be provided. Volunteers must fill out a form prior to participation (the day of is fine).